Creating a mood board will help keep your design focused. So, you have saved and dreamed for years and the time has finally come to make your dreams come true, and you are ready to take the plunge and start your kitchen or bathroom remodel. Or, maybe you just purchased a home and got a great deal on it because it needed some love. Either way the process is the same. We all know the gist of how a remodel goes, but when the time actually comes to do it, the outlook and process might just be a bit overwhelming. If you find yourself on the edge of the great unknown, I am here to give you the road map to help navigate the fun and exciting world of remodeling. Get comfy and take your time planning your kitchen or bath remodel. In today’s world, it is a lot easier to shop around and find the best deal. Just like when you bought your home it will serve you well to make a list of wishes and must haves. This will keep you focused on the task at hand and help you stay on track. While your wishes are important it is also important to make sure you know what elements are must have items, and what elements you would love but could give up and still be happy. Include tangible items such as the hardware finish and colors, but, also keep in mind some of the functionality pieces as well. Is it important that your new cabinets have full extension drawers? How about the ease of cleaning the surfaces? Do you mind having a solid surface top that needs frequent maintenance or would you prefer to avoid that like the plague? This all might sound daunting. Maybe you have a vision in your mind but you don’t necessarily know how to articulate it. Fear not! Take some time out on Houzz to create an idea book. Houzz is a website or app that is a lot like Pinterest but is focused on home design. What is even greater here is that these idea boards can be shared with a designer so that they can get a better idea of what you are looking for and what gets you excited. It is so common to want to keep this little piece of information quiet when you are meeting with designers. You know that they are trying to make a sale and you don’t want to be backed into a corner. While that does tend to make good sense, this is not the time to be shy about your budget. Many designers have products and services available to meet a large range of budgets it is hard for them to help you make choices and design suggestions that meet your must have items and your wish list without having an accurate budget. When a designer knows exactly what you would love to see in your new space as well as what they must include to make the sale they are better able to meet those needs in a realistic way when they know what you need the bottom line to be. If you don’t feel comfortable giving the exact number share a realistic range. Your budget is not just the nuts and bolts of the project it is the main must have on most people’s lists. A good designer should want to meet you where you are and still strive to create the space of your dreams. Now that you have a clear idea of your end game it is time to find a partner who can help you accomplish your goals. There is certainly no shortage of options out there. So how do you navigate the sea of kitchen and bathroom firms? This is a big investment, and you are trusting someone with your dream. Ask around and get referrals from folks who have already been on this adventure. Houzz is also another great place to learn about the professionals in your area. Once you narrow down the field a bit call and schedule a time to come to the show room and meet the designers. It is helpful to meet for the first time in the show room so you can get hands on experience with the products available. This will allow you to get to know the designer, firm and choose the materials you would like in your new space. Make sure that you bring in a rough lay out of your space and measurements. After this meeting your designer will be able to give you an initial estimate. Bring in color samples or photo inspiration (or share your idea board on Houzz). This will help you and the designer choose the materials that will bring your vision to life and help you. The designer will be able to narrow down the seemingly endless options to a more manageable selection, and make suggestions that maintain the integrity of your idea. Your designer should feel like your partner. This is after all your remodel and you have to live with the outcome. Some things to consider aside from cost when making the final decision on who you want to design and implement your project include the value of what they are quoting, quality of the product, how well it matches that list you made in the beginning. One way that a firm might be able to come in with a lower estimate is by contracting out the installation. Sometimes they provide the contractors and sometimes they will leave finding an installer to you. This is very important to consider. If you do have to hire an outside contractor that will also cost you money, so that firm might not actually be the cheapest. Internal process of the firm is also important. Continuity for communication sake is often a huge selling point but this might add a little more to the bottom line. Is the seamless communication worth a little more money? You better believe it. Any renovation or remodel project has several moving parts and each part will dictate how other parts move. Having to keep track of all the different contacts and information can be a full-time job all on its own. If you have one person who makes sure all the parts are working well together you can spend your focus and energy on other more exciting aspects of your project. You Have Successfully Started this adventure! Pat yourself on the back. This is a huge part or the process and sets the tone for the rest of your remodel. Relax before the real fun starts. Join the conversation of Facebook and ask us your questions about the kitchen and bath remodel process. Sweat equity season is here! Hurry, take a sigh of relief. Tax season is almost over and now you can breathe. 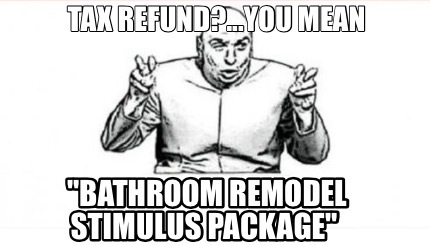 If you are one of the lucky Americans anxiously awaiting a refund you can start planning on how to spend that money. Consider Sweat Equity. Our parents always told us its best to invest, right? That is hard to do when you come off of the holiday season and head straight into tax season. You want to do something for yourself, am I right? Well, there is a way to “have your cake and eat it too”. 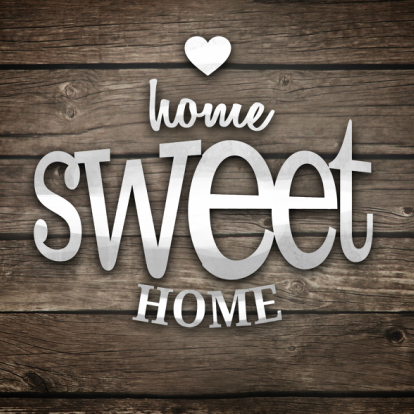 As a homeowner you are sitting on a huge investment opportunity. A basic kitchen or bathroom remodel can bring more than 100% return on investment when it comes time to sell. So, whether you are thinking of upgrading, downsizing or just creating a space you can relax and enjoy here are some things to consider before you start making improvements to everyones 2 favorite rooms. If you are looking at sprucing up your space for resale you might want to consider what your ideal buyer would want. Try and anticipate their wish list. Will they be looking storage, functionality, or the latest trends? On the other hand, if you are trying to build that sweat equity, but plan on staying put for a while, then you need to decide what matters to you. Make your design your own dream come true. Make sure that your sweat equity will matter to the one living with it. The take away here is that the value is certainly in the eye of the beholder. So make sure you ask who are the beholders going to be and what will speak to them. DIY or hire the pros? So last night you sat down and binge watched your favorite DIY Network show and you are ready to become the house flipping champion. Well, while there are plenty of ways to DIY your sweat equity, kitchens and bathrooms might not be the place to start. You want to make sure that they look perfect. That is why it is best to spend a little extra on them and hire the professionals to take on this challenge. Just because you hire the pros doesn’t mean that there is nothing you can do. Consider doing the demo yourself. This will save you some cost in labor fees. Maybe you really don’t want to get that dirty, try your hand at being the interior designer dreams are made of and find or create pieces to stage the space and add your own personality. Remember this is an investment so you need to make sure that you do not lose out on the potential by cutting corners. Beautiful Bertch Cabinets in Black Hawk, Colorado master bedroom. Custom designed to encase the gas fireplace.I know how hard it is to wait on something perfect in a big box world, but in remodeling you have to choose between exactly what you dreamed of, and almost what you were looking for. Sure you can walk into any number of “big box stores” and find almost the perfect look. In many cases you can do it on your own time and even get the pros to install it for a fee. This might work in a pinch but almost always comes with buyer’s remorse and if you have problems or need help after the job is done who do you even call? Then there is always that mortifying moment when you realize every home on the block has the same kitchen. Suddenly you feel like your beautiful new space is some cookie cutter design. Is it even sweat equity if everyone else has the same stuff? If you choose the other option and visit a custom kitchen and bathroom provider, they have time to really get to know you and your vision. They will be able to help you find the picture perfect design for you and your budget. In most cases they will perform a field visit and physically see and measure your space. They will handle the ordering and installation scheduling. If you have questions or if there is a problem you will know exactly who to call. Most importantly they will know you and the project. There is value here; even if the value is simply your sanity, and let’s face it, sanity is a precious commodity. While we are talking about sanity, remember to manage your expectations and plan accordingly when taking on any home renovation project. Remodeling comes with mess and a splash of chaos. If you have a designer, they should be a key part in ensuring the chaos is organized and they should also be doing everything they can to help things stay on track. Realistic expectations are imperative to your peace. Remodeling will not happen overnight. I know, I know you think I am crazy, you have seen it happen on TV a million times, it takes an hour to completely remodel a kitchen, right? Unfortunately, it is hard to remember that reality TV in many ways lacks the reality component. You need to have a plan for eating while you are without your kitchen. If you are remodeling your bathroom make sure that you have another to use during the process. It might sound like common sense but it is so easy to forget the details when you are keeping your eye on the prize. If you go into a renovation with the logistics in the back of your mind you will feel much less inconvenienced and the stress component will be diminished. Its not called “sweat equity” because it is easy. Also, Construction of any kind is loud, messy, and invasive. If you have small children, pets, allergies or any other concern about the messy truth of a remodel, talking to your designer in the beginning will go a long way. It is a lot easier to know that a homeowner is concerned about something beforehand so that plans to mitigate the concern can be made. Whatever you do, don’t wait until you are miserable and angry, that is a lot harder to fix. Designers and installers do their best to keep the invasive nature of a remodel in control but knowing that you need the house quiet during nap time or that they need to be extra careful about dust or odors will help them to help you. 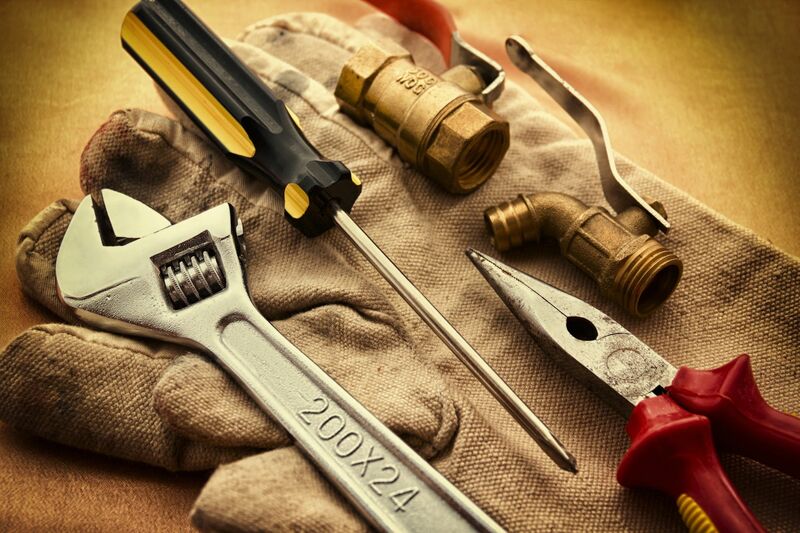 Trust me, installers do not enjoy their job as much if they feel like an inconvenience. Everyone is on your team and they want this to be a happy and exciting time for you. When scheduling a remodel, consider your schedule when making the plans. If you always host grandma’s birthday and it is in 2 weeks maybe having the kitchen remodeled the week of the big day is a bad idea. Not only does that add unnecessary stress on you it doesn’t allow for any hiccups. In a perfect world the remodel will happen in a timely manner with no major issues but in any project with lots of moving parts there will likely be delays. If you have any upcoming events that you need to accommodate make sure you discuss them in your design meeting. The designer will know what their team can accomplish and what a healthy timeline will look like. Kitchen update with Medallion Silverline cabinets and quartz counters. This is the best part for any designer or installation team: the end result. Good designers understand that you are entrusting them with your vision and dream, but also, in many cases a huge piece of your savings. While the process might be hairy and stressful, the rewards are endless. Think of your designer as your voice. If you have questions or concerns speak up. They truly get rewarded when their client’s dreams finally come to fruition. So when it’s all said and done you have followed your parent’s advice and invested, but you have also given yourself a gift, so relax and soak in your new spa or cook up a great meal for family and friends. Join the conversation on Facebook and tell us about your renovation plans or dreams. January 19, 2017 – Columbine Kitchen and Bath of Castle Rock, CO has won “Best Of Customer Service” on Houzz®, the leading platform for home remodeling and design. 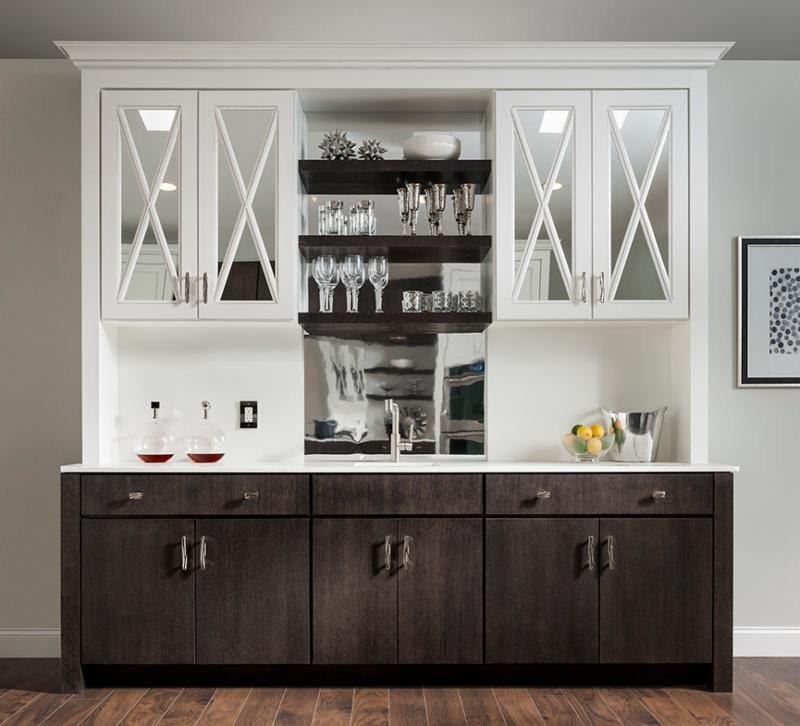 The kitchen and bath design company was chosen by the more than 40 million monthly unique users that comprise the Houzz community from among more than one million active home building, remodeling and design industry professionals. 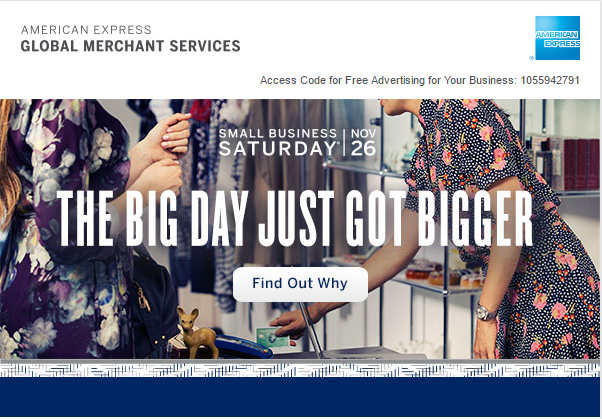 A day for celebrating small businesses, created by American Express to help you attract what you need most… more customers. This Nov 26 could be the biggest yet, because now through Dec 31 eligible Card Members can earn 2X rewards when they use an enrolled American Express® Card with you. Great Opportunity With a Great Company! Columbine Kitchen and Bath, located in downtown Castle Rock, CO is looking to hire a part-time to full-time Residential Kitchen and Bath designer. Click here for a full description of the position and to contact us for more information. 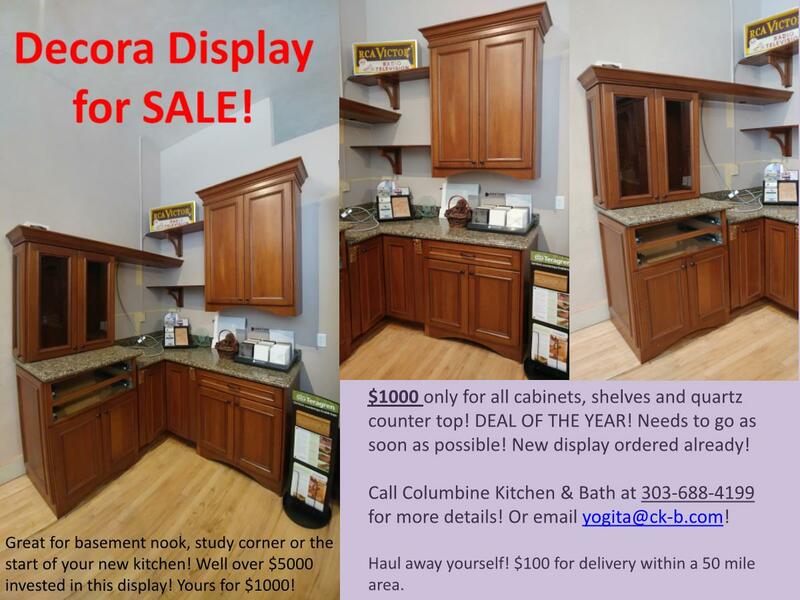 A great set of Decora cabinets right from our showroom! Click on the image for a closer look and for details/contact information. Medallion Cherry Promotion! 15% off all cabinets in cherry! Great Savings on Gold and Silverline!